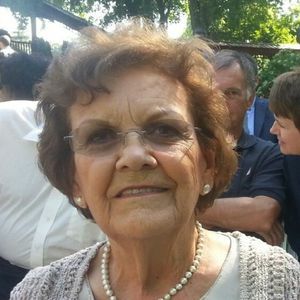 GREENVILLE - On Friday, March 15, 2019, Bonnie Rogers Bouland passed away peacefully at home. She was born in Muhlenberg County on September 14, 1928, and lived to be 90 years old. She began her career in Greenville, Kentucky as a beautician and later moved to Lexington, Kentucky to later retire as a cosmetic consultant at McAlpins. Bonnie moved back to Greenville in 1998 to be closer to her family. Bonnie was a member of New Harmony General Baptist Church in Todd County, KY and a member of the Daughters of the American Revolution. She enjoyed traveling and spending time with her friends at Hardee's and the Senior Citizens Center. She was preceded in death by her first husband James Rogers and her second husband Bob Bouland. Bonnie was also preceded in death by her father William Elijah McPherson and by her mother Ruth Gregory McPherson, and sisters Ozell McPherson, Shirley Willis, Corene Carver, Margaret Greenfield, and Louisa Petrie. Survivors include her sister Kata Wilson, son Tim (Brenda) Rogers, grandchildren Corey (Matt) Jarvis and Connor Rogers, great-granddaughter Amelia Jarvis, and several nieces and nephews. In honor of Bonnie's wishes, her family has chosen cremation. A celebration of Bonnie's life will be held on Saturday, April 6, 2019, at 12:00 noon at Tucker Funeral Home in Central City. Visitation will be Saturday, April 6, at 11:00AM at the funeral home. Online condolences may be made at www.tuckerfuneralhomes.com. Though I have not met you & family, I feel as though I know you. I am so sorry for your loss. Bonnie was a wonderful lady that I worked with at McAlpins. She will be greatly missed. Bonnie will be missed by so many people. She was so nice to everyone and always smiling. We lived beside Bonnie in Lexington KY on Redcoach Trl for many years. My mother, aunts, and other friends were the ladies who were always together. She enjoyed our summers at the pool with Coors light and melty cheese on Triscuits. She was a lady of beauty and grace. She shared her experiences without it feeling like she was giving an opinion. I had planted a yellow rose bush in the area that we shared between our townhouses. She always took care of it and it grew well under her care. She loved her Elizabeth Arden Eight Hour Cream and it was a cure all for scrapes and bruises. I keep a tube of it in my home know because of her. My condolences to the family. She was loved in our family and I considered her as much my aunt as any of my biological aunts. Bonnie was simply one of my favorite friends. She always had a smile for everyone. When I think of Bonnie, I think of a fun, caring, beautiful, sweet spirit. She was one class act, and on a personal level, always good to my oldest brother David and me. I will forever miss her until we meet again. My prayers go out to Kata, Tim, Brenda, Connor and Corey and to her many loving nieces and nephews and cousins. She was a wonderful person. She will be missed.